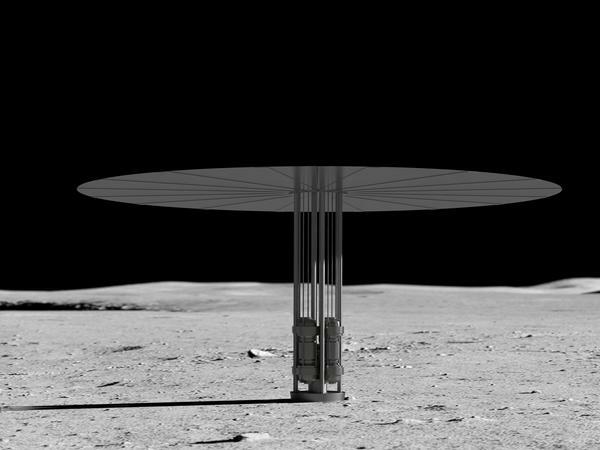 An artist's rendering shows the reactor's core is about the size of a paper towel roll and could provide a decade's worth of electricity to future missions. Researchers conducted a series of tests of the new type of nuclear reactor over the winter, culminating in 28 hours of full-power operation. Getting electricity in space is always a problem. Close to Earth, satellites and astronauts can use solar panels. But farther out, the sun's light dims, making it exponentially harder to get the power needed to run communications, scientific instruments and, in the case of astronauts, life support. The best solution is good old-fashioned nuclear power. Nukes have fueled everything from NASA's Pluto probe to the Curiosity rover on Mars. Nuclear power sources are durable, and they can last a long time. The two Voyager spacecraft, launched in 1977, are still phoning home using power from a a few pounds of plutonium they carry with them. 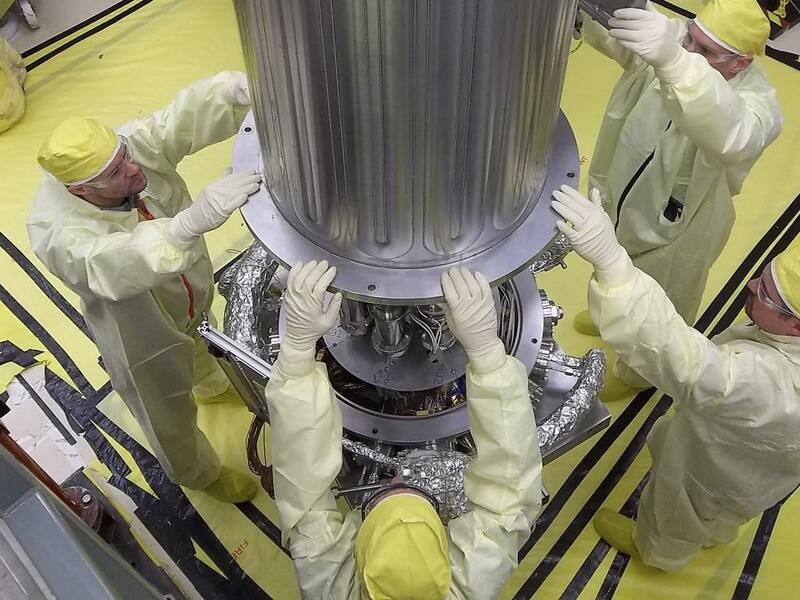 Traditionally, spacecraft have used the heat from a glowing chunk of plutonium. But the kind of plutonium required is a byproduct of nuclear weapons production during the Cold War. That production has stopped, and it's in increasingly short supply. The new reactor uses more-conventional uranium fuel. Using a "core" about the size of a paper towel roll, the reactor can turn pistons that can run a generator. The generator can put out about 10 kilowatts of electrical power — enough to run a few small homes. Scientists believe it could run continuously for a decade or so, making deep space travel a lot simpler. They also gave it a catchy acronym: KRUSTY, which stands for Kilopower Reactor Using Stirling TechnologY. To see if it actually worked, scientists tested KRUSTY out in the Nevada desert on America's old nuclear test range. They put KRUSTY through its paces, culminating in a 28-hour test at full power. The team also simulated failures in KRUSTY's reactor components to show it wouldn't result in a meltdown on Mars. KRUSTY may find its way onto future space probes. Researchers say they might use an ensemble of four or five of the reactors to power colonies on the moon (which has 14-day nights, when the sun isn't available) or Mars.